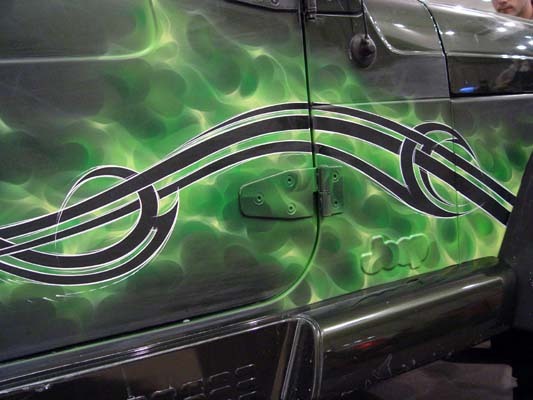 The finished side of the Jeep, all that is left is the clearcoat, (Thats gonna be left to the boyz at Splash Design.). 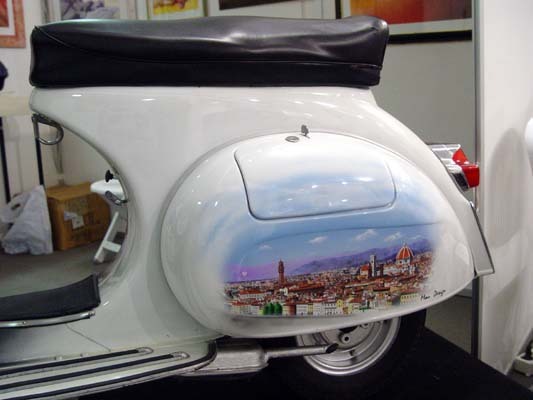 Check out the killer mural of Florence Italy on this scooter. 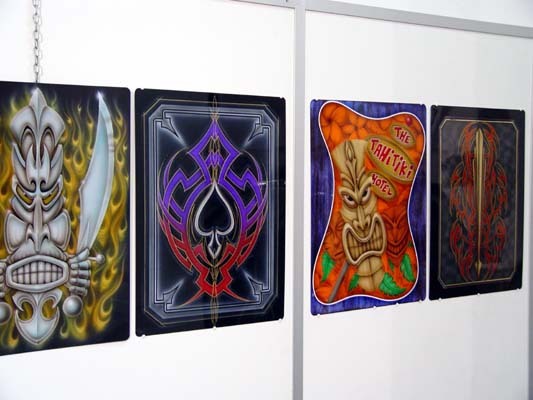 A few examples of the work that Steve had on display. 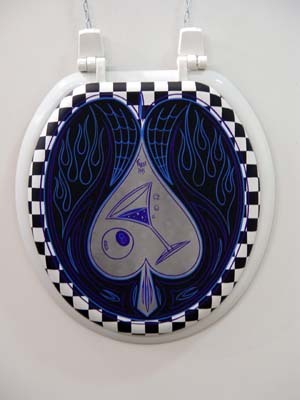 A little kustom retro striping on a toilet seat done by Craig Fraser. Too bad US toilet seats don't fit european toilets. 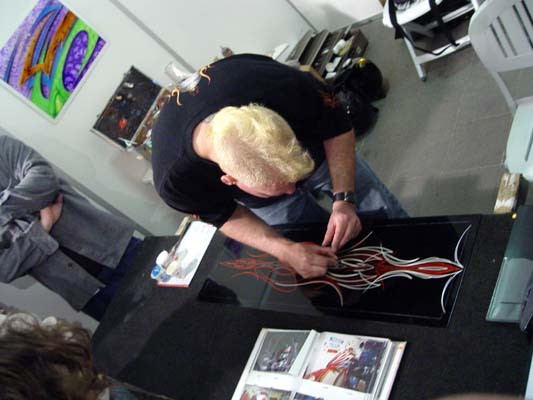 Steve doing some of his classic pinstriping as a demo.